In just 10 days, you might be buying a new Xbox One with 1TB of storage, a redesigned controller and Halo: The Master Chief Collection for $400. Amazon appears to be holding a spot for a new Xbox One console set to release on June 15, conveniently the same day as its E3 2015 showcase. According to the low-profile listing, the bundle includes the storage-wealthy console, Halo: The Master Chief Collection and the highly anticipated redesigned controller with a 3.5mm headset port built in. When asked about the mystery listing, a Microsoft executive said, "We're gearing up for an exciting E3 where we'll showcase more games and experiences. We have nothing further to share at this time." Last year, Microsoft had a similar release with a Call-of-Duty-style Xbox One with 1TB of storage, but it was priced at $500 and predated the updated controller. 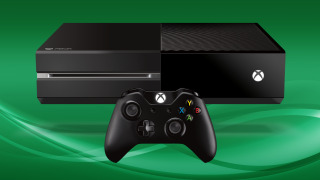 At $400, this Xbox One bundle looks like the deal to beat.